All posters are content intensive and are 24" x 26" and are shipped rolled. 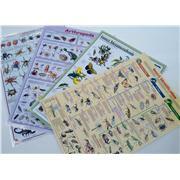 Includes the following posters: "Insect Identification", "Insect Metamorphosis", "Arachnids", and "Arthropods." All posters are content intensive and are 24" x 26" and are shipped rolled. Includes the following Posters: "Introduction to Rocks", "Introduction to Minerals", "Introduction to Fossils", and "Introduction to Gemstones." 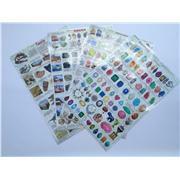 All posters are content intensive and are 24" x 26" and are shipped rolled. 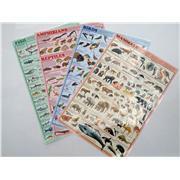 Includes the following Posters: "Birds", "Fish", "Reptiles and Amphibians", and "Mammals."